Zopyros is a free stylish resume template, using an unusual layout structure, a gray header on a white/gray abstract pattern background. 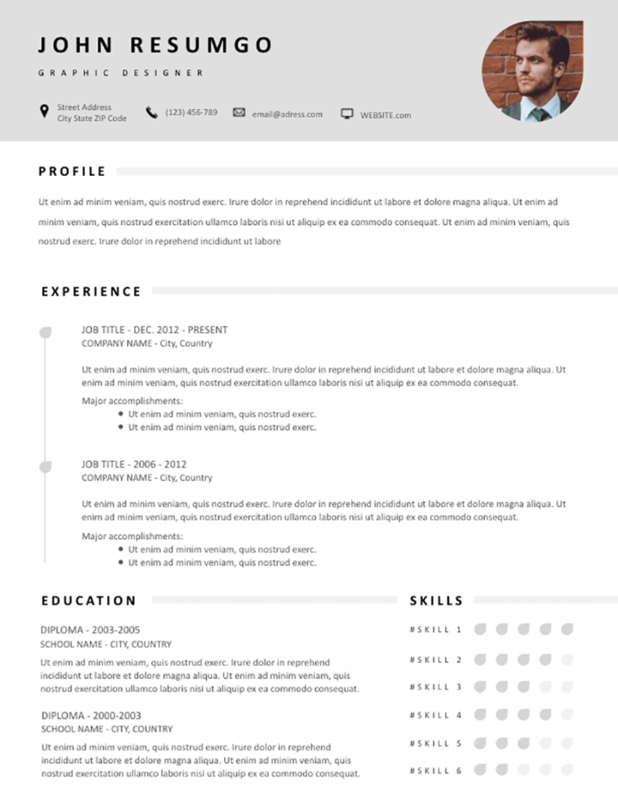 This CV template uses a full width (light) gray header. On the right, your photo will be inserted in a teardrop shape. Your name, job title and contact information will go on the right. Then, a single column structure first will we used for your profile/objective statement. Finally, on the bottom part of the resume: your education and skills (5-point scale teardrop rating).